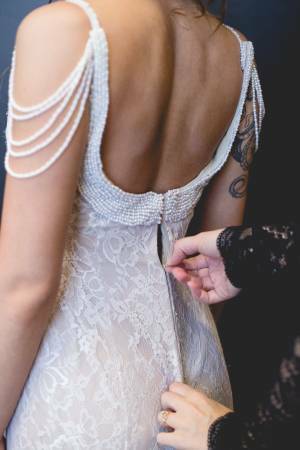 I&#39;m selling my Alfred Angelo wedding dress, only been worn once for a few hours. It great condition. It was altered to fit a size 2 and about 5&#34;5 in height. It has been kept in the original garment cover since being worn once. 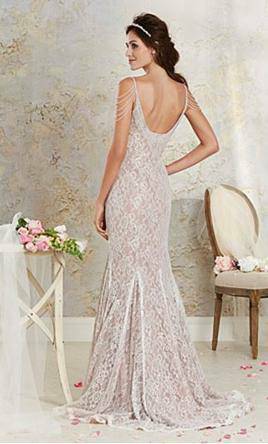 It is a ivory lace with blush undertones and pearl accents, including the pearl beads for straps that hang over the shoulders.